​Hey, thanks for stopping by! 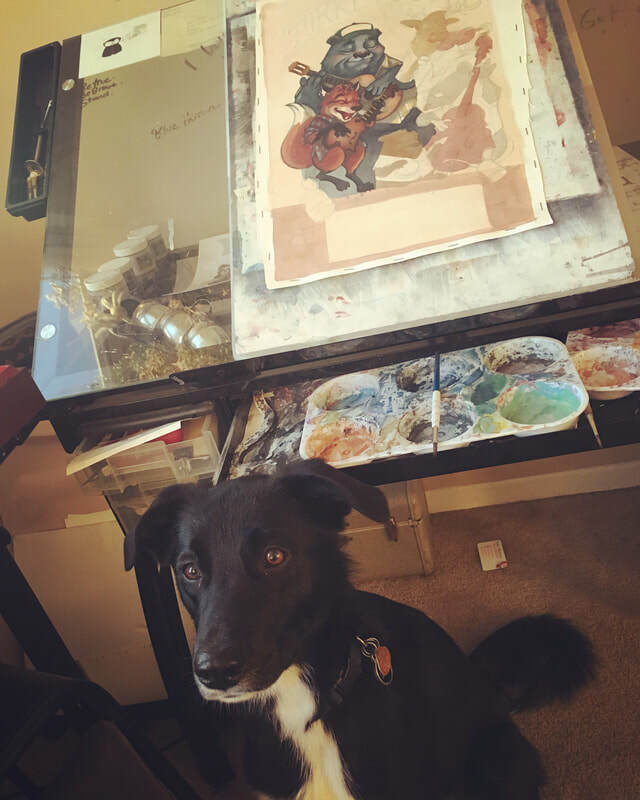 You can email me at contact@alexroweillustration.com if you'd like to chat, or follow my Instagram ( alexroweillustration ) to check out my sketches and progress shots on recent projects, and ample pictures of my studio dog Amelia. I'm currently working on a few personal projects to showcase and send out to publishers, so keep an eye out on my Instagram or website about upcoming progress! Also I'll be setting up a brand new store on the site in the next few weeks, so keep an eye open if you see something you'd like! Or, feel free to message me if you'd really like to see a specific piece on a product - if there's enough interest, it will be added to the store!